The students from Hillingdon Manor School of which Anna Kennedy is founder have formed the well known street dance crew ‘Autism with Attitude’ performing recently on BBC’s ‘The Greatest Dancer ‘. One of the students spoke on the mic after their performance sharing ‘Go for your dream and dont let anyone tell you because you have a disability you cannot go for it’. All the performers received standing ovations. 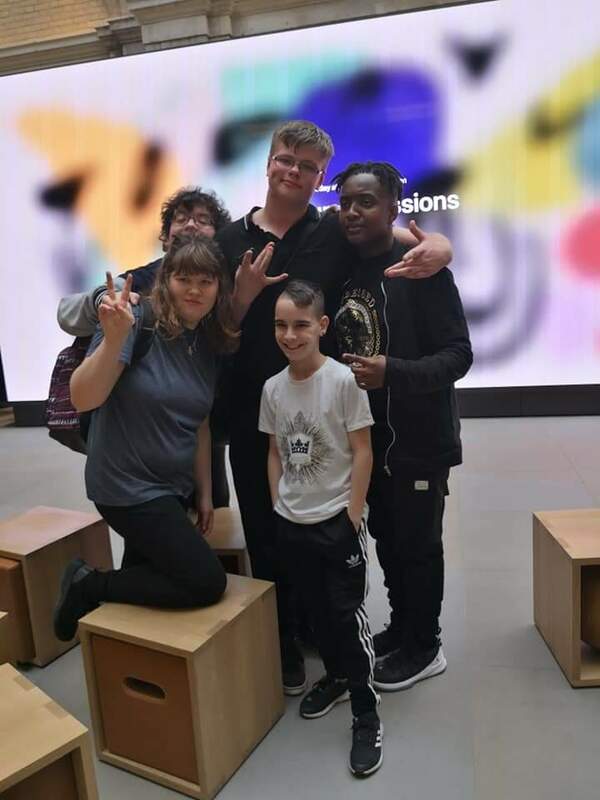 Performers ages varied from street dancer Callum Kirrage diagnosed with autism and ADHD aged 12 to singers Marie Gorton and Emma Ahwai in their 20s. Callums life has been turned around since first performing on Autism’s got Talent 3 years ago. Calum and two other of the performers singer Macauley Elvin and street dancer Ethan Kumalo have scholarships through the Autism charity AnnaKennedyonline to Pineapple Performing Arts. All 6 performers ago shared how much they enjoyed the experience thanking Anna and Autism’s got Talent for creating amazing opportunities for them. One of Anna Kennedy’s young charity Ambassadors 16 year old Siena Castellon spoke to the audience about the launch of her Nerodiversity Celebration Campaign at the end of May. Siena was voted as one of BBC Radio 1 Teen stars of 2018 and a Diana Award winner for her anti-bullying campaign. 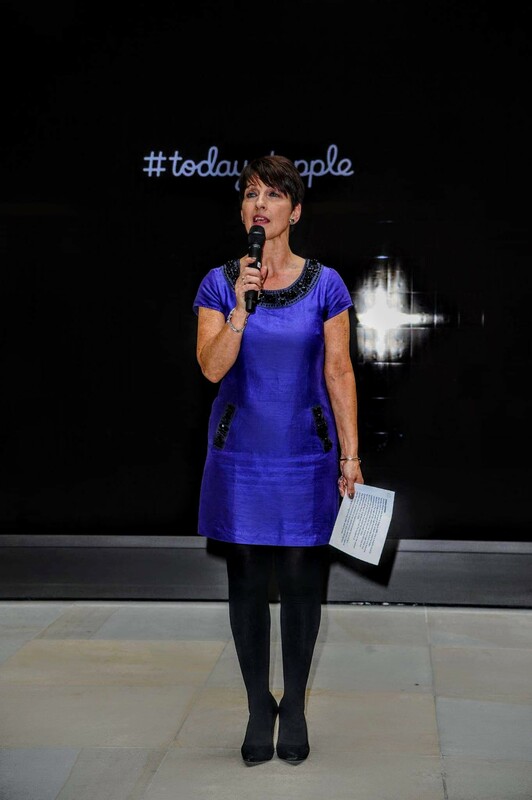 Anna Kennedy opened the show by thanking Apple for giving her performers the opportunity and creating another springboard to boost their confidence and show the public how talented they are. 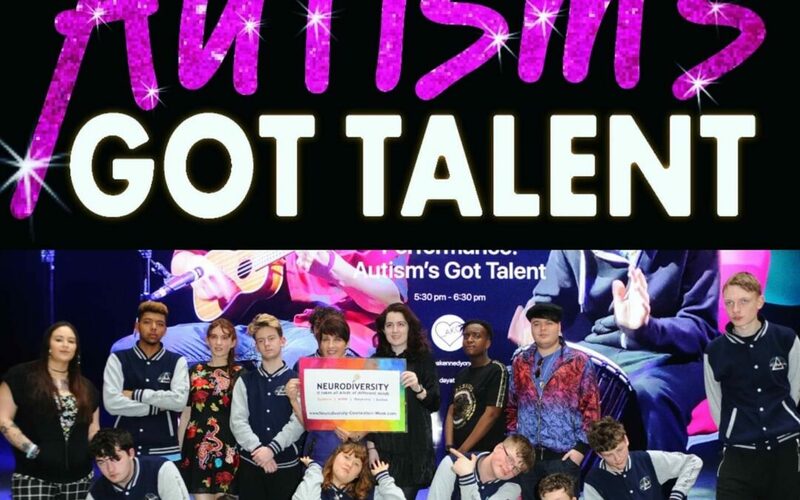 Autism’s got Talent is now its eight year at the Mermaid Theatre Blackfriars, London and is going global with performers from across the world asking to take part. Past performers have been from across the UK, Canada, USA, Croatia, Sweden, Ireland and this year their first performer is travelling from India to sing on Saturday 4th May. This is once again giving our performers the chance to celebrate success and have fun – all while raising public awareness and acceptance and to help create a society that works for autistic people.